On one of our most celebrated holidays of the year, drivers are tragically dying on the roads of America. 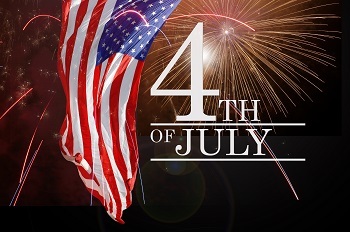 Sadly, the National Highway Traffic Safety Administration says the weekend of Fourth of July is the deadliest of all holidays throughout the year. The three days of the July 4th holiday are actually deadlier than the four day long New Year’s celebrations for fatal auto accidents. Even more alarming is the fact that 40 percent of these total fatal accidents were caused by someone who was under the influence of alcohol. The NHTSA has seen a common trend around the holiday weekends and car accidents over the last 25 years and by far the July 4th weekend has the most casualties. Collectively over the last quarter century, 51 percent of car accidents with fatal results were alcohol related. The U.S. Transportation Secretary has declared that drunk driving is a significant threat to the safety of the public since over the course of a year thousands of lives in America are lost in alcohol related crashes. Individual states are ramping up their efforts to combat drunk driving. Despite many states combining their efforts in this battle, there is still much work to be done in order to get these careless drivers off the roads in our communities. If you or a loved one have been impacted by the negligent actions of a drunk driver, please contact us online or call us directly at 318.588.6303 to schedule your free, no obligation consultation.